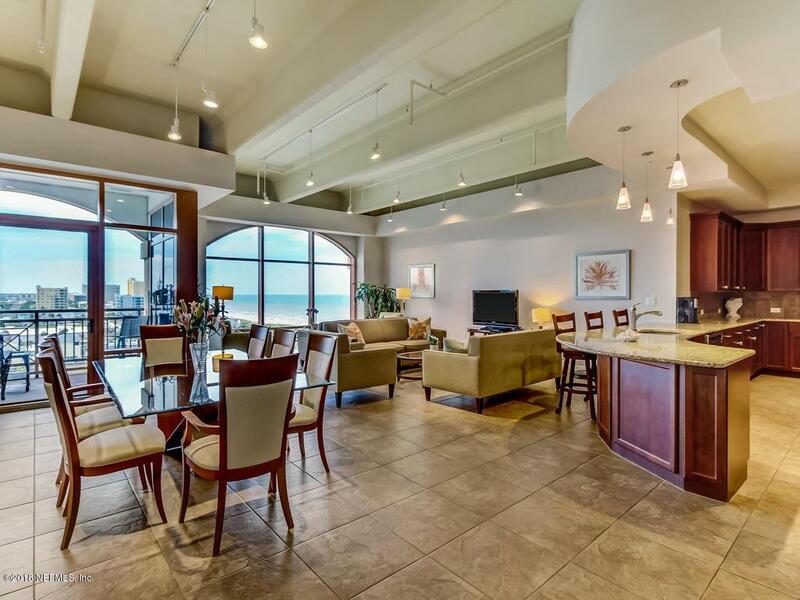 Step inside this luxurious beach condo and prepare to be wowed! Centrally located in the heartbeat of Jacksonville Beach, you are steps away from dining, shops, and the beach. This 4/3.5 unit boasts expansive ocean views from your floor to ceiling glass windows. Large living area and 12' ceilings highlight the wide open floor plan. Large gourmet kitchen with 42'' cabinets and granite counters is perfect for the chef in the family. The balcony gives unparalleled city and ocean views. The master suite boasts floor to ceiling glass, and leads to an enormous bath with walk in shower and oversized closet. Tile throughout the unit. Guest suite with private bath. Building has door security, and gated garage parking. Schedule your viewing now before this one of a kind property is gone!